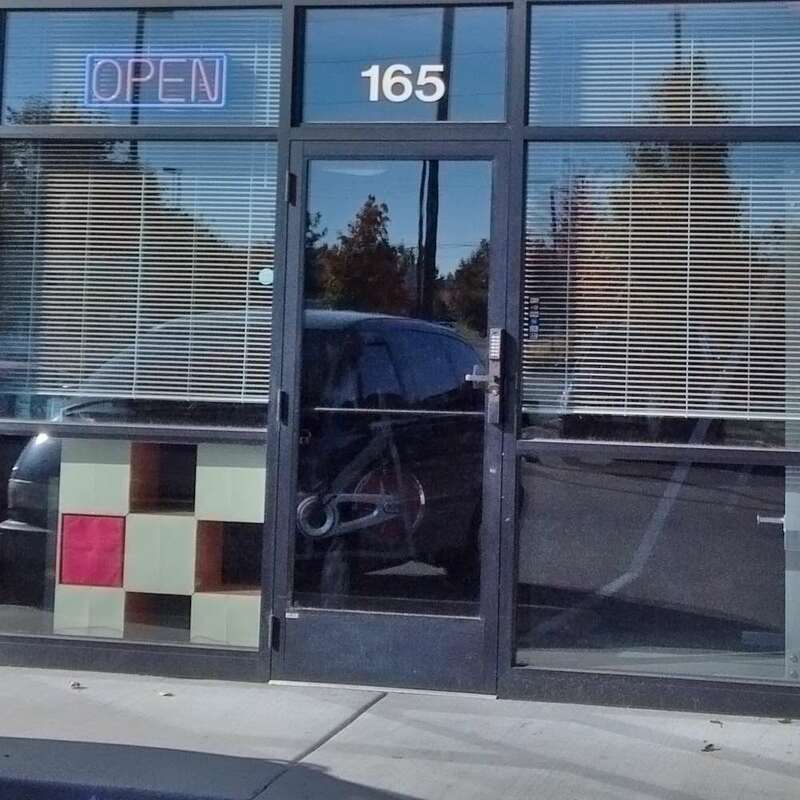 Advanced stand-alone keypad security for aluminum frame glass office and storefront doors. Key override; includes a 1 3/8″ long mortise cylinder from the manufacturer and 2 keys. All mortise cylinders are interchangeable so if you have a name brand one you want to use you can, or we sell name brand ones. Please call us at (877) 439-5377 for custom cylinder orders. Schedule access times and combat lost keys and lockouts with the DL1300. It features timed lock/unlock, audit trail, and the ability to use a convenient DTM data transfer module to upload your user schedules from your desktop or laptop computer. This electronic access lock is a cost-friendly key management solution for your narrow stile, aluminum glass doors. A one-time financial commitment gets you a powerful, 2000 user capacity, easy to maintain keyless entry system that will pay for itself each and every time you don't have to re-key or change your locks. 14 3/8 (H) x 1 5/8 (D) x 1 3/4 (W) in. 1 1/2 in., 1 1/8 in., 31/32 in. 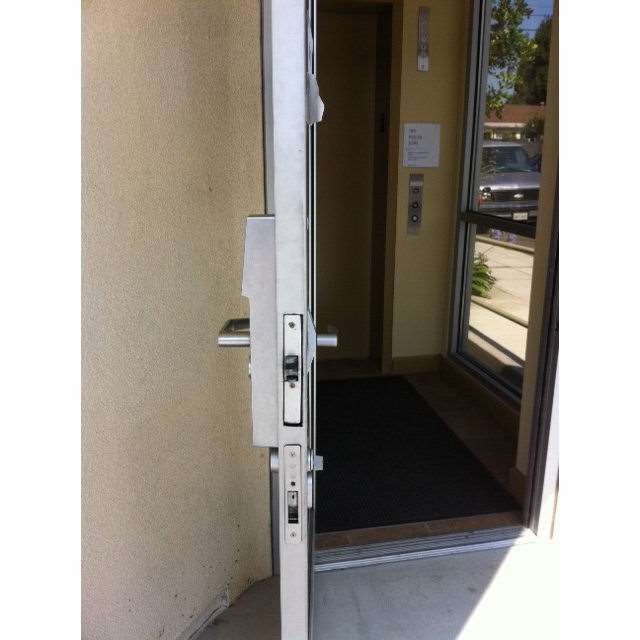 I ordered a couple of the DL1300 style locks for our office building’s “common doors”. These are great to program codes for our lessees. Having the audit trail and PC cables to manage the codes and event log is a must if you are getting multiple locks. It makes programming a breeze! Plan to order more. Would highly recommend, and the customer service is wonderful! It has been a great experience. The tech help (Skip) has been great as we have some complicated scenarios on two different locks. We still have a couple of issues to work out but that is due to our requirements. The locks have worked great and better then expected. Glad to have found this option for my storefront. Did have to professionally install but wasn’t due to lock being difficult more so the door itself. The locks we purchased are working great and fit our needs. If there was one thing that we should have looked into was linking all four locks together in network. But with two locations about 20 miles apart that my be difficult. Thanks and we do enjoy the locks. The lock that we purchased from Go Keyless is perfect. It does the job just right. Our customers love it because it is so easy to use and convenient for after hours. The customer service that we received was impeccable. Jason was extremely patient and helpful with us. I definitely recommend GoKeyless. The DL1300 works great for our needs and we are very happy with our purchase. We had a local locksmith install it and after all costs’ saved hundreds of dollars compared to a quote from a local vendor. More impressive was the pre-sales and post-sales support from the guys at gokeyless.com. We have two more doors well be purchasing locks for and you guys are my only choice from here on out; Thanks from a happy customer. I purchased the DL1300 to turn my gym into a 24hr. facility. I installed and programmed the lock myself with no prior experience. It was not easy but manageable. Once it was up and running’ I was surprised at all of the custom settings and how versatile the program is. I am planning on adding tanning beds to the gym in the future and I will purchase another DL1300. Overall’ my lock looks great and works great! It matches the alum. trim on my storefront well and using the DTM (now) seems pretty straightforward and simple. I’m happy with it! No, this does not have the ability to use a phone. The AL-PCI2U DL-Windows software is PC based but can be run in a windows environment on a Mac. Yes, there is a manual locking and unlocking option that will work with standard Adams Rite Swing bolts such as the MS1850 for manual locking of doors the PDL1350. Yes, you can use cards and fobs as well as codes to open the PDL1350. However, keep in mind that anytime the lock is unlocked it will stay unlocked until you choose to re-lock it by hand either from the interior or the exterior. We recommend that you speak with our sales staff to ensure you get all of the correct product for your door to function properly. Yes, you can accomplish what you are asking with the DL1300 and the addition of the 4900 and 4591. However, if you are looking to keep the swing bolt function that you currently have and you only want to add a code to go with a key we would suggest using a DL1325 or DL1350. This way you would still have the same function with the key and deadbolt setup but you are adding a code. If you go with the DL1300 you are changing everything to an auto-locking latch rather than the deadbolt locking you have now. We would recommend speaking with our sales staff at 937-247-9327 opt. 1 to ensure you get the right lock for your needs. Not for this particular lock, however, you can purchase the DL1300ET version which is specifically designed to work with many different RIM exit narrow stile exit bars. Answered by the admin Based on the set up that you have, yes this could work. As you have stated of the door if then opened it would not be secure. While the Trilogy lock system will handle a wide range of different HID cards and fobs we recommend for 100% compatibility the AL-HID 1346 fobs by Alarmlock for these locks. For this lock, there is an additional thru screw that is installed with the two lower mounting screws which securely holds the battery door in place and can only be accessed from the secure side of the door. No, this lock is not designed to work with sliding glass doors as they use different locking mechanisms and require a different type of install. While we do not have anything electronic we do have a basic mechanical Lockey CL-150. No, unfortunately, they will only go to 1 7/8 for their maximum thickness. For a door, that thick a hardwired solution would be the best option such as the GK-ESNS-KIT.